#23 and #24 are seen daily in the yards of Lafayette Ave. and in Mt. Storm Park. They were sterilized in the first year of the study (December 2015). 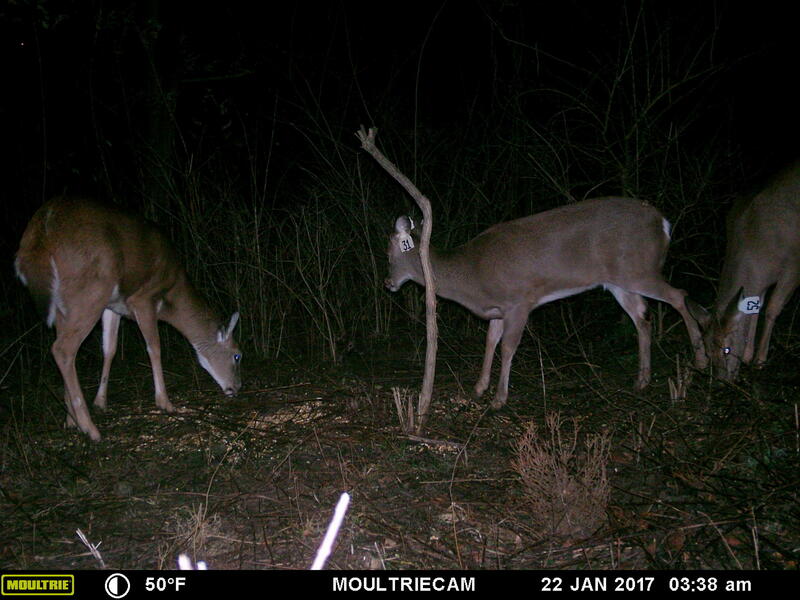 Clifton residents and the Cincinnati Park Board will soon get important data on whether their deer sterilization pilot program is a viable alternative to lethal culling. 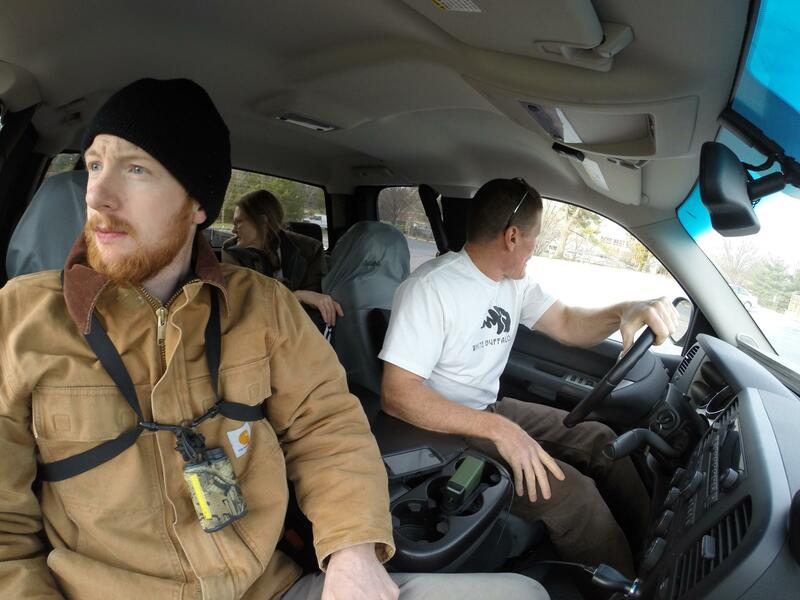 The crew drives around looking for deer in the study area. January 16-19 White Buffalo, Inc. and lead vet Dr. Randy Junge gathered to dart does and sterilize them in and around Lafayette Avenue in a 1 mile square radius. This is the second year for the pilot project. The deer are tranquilized at "bait stations," private drives and from vehicles on public roadways within the study area. A transport team, takes the does to a temporary surgical site where a vet does the surgery and administers antibiotics and pain medication. 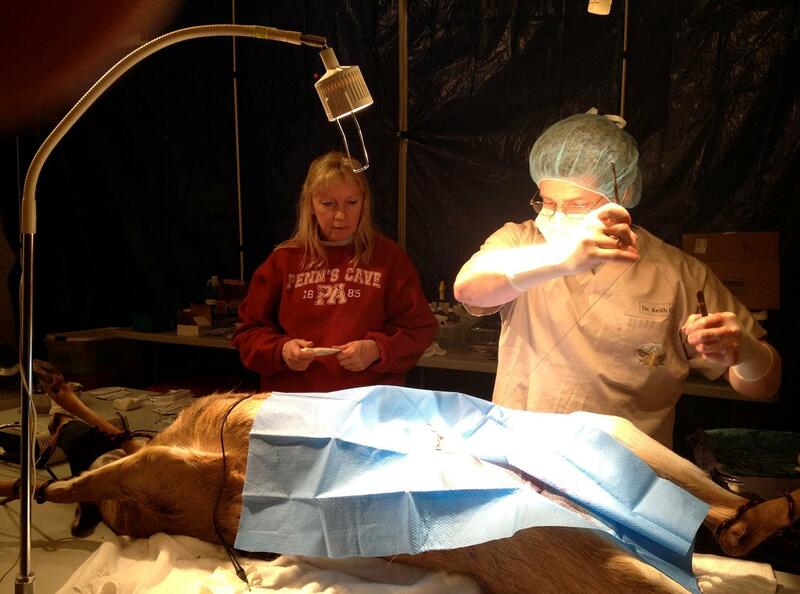 Veterinarians operate on the deer. The most recent surgeries took place inside a small building on Lafayette. This picture is from another White Buffalo project site. An ovariectomy is the removal of a female deer’s ovaries. The procedure is similar to, but less invasive than, typical spay surgeries used to sterilize domestic dogs and cats. Using the “rapid ovariectomy” technique developed by Dr. Steven Timm, DVM, and the White Buffalo team, preparation and surgery take place in the field and typically take 20 minutes or less. #52 is newly sterilized and this picture was taken a few days after the surgery. In December, 2015 CliftonDeer.org reported the sterilization of 41 does cost $40,000, all raised privately. Will sterilization alone will work to reduce the deer population in Cincinnati? In a guide to others considering it, CliftonDeer.org names two obstacles: "migration might offset attrition," and "very low population goals might be impossible to achieve because of the difficulty to sterilize 100 percent of the does." 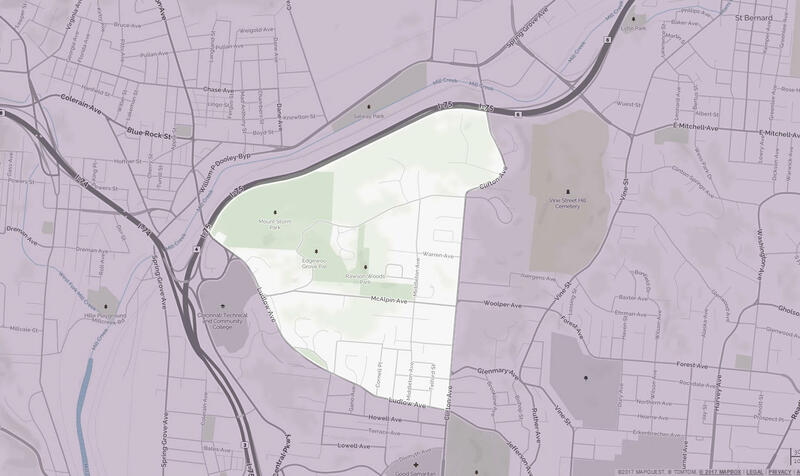 The test area is bordered by I-75, Clifton Ave., and Ludlow Ave. 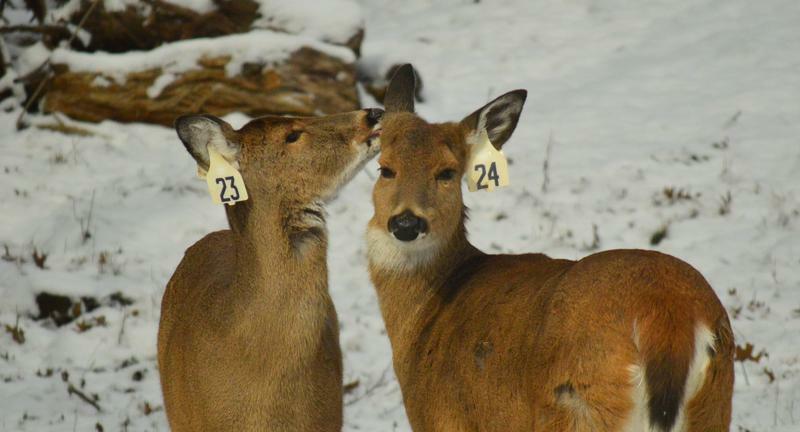 In a few weeks Clifton Deer will know from the camera population survey how close it is to the 95 percent sterilization goal that will provide a ten to twenty percent annual population decline. The group will be interested in finding out if new does are immigrating into the study area.